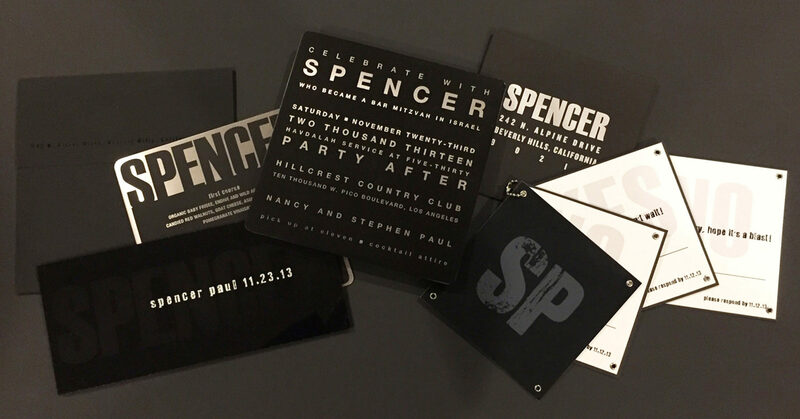 This dramatic hand-screened black acrylic panel mailed envelope-free for a sleekly unique save-the-date. 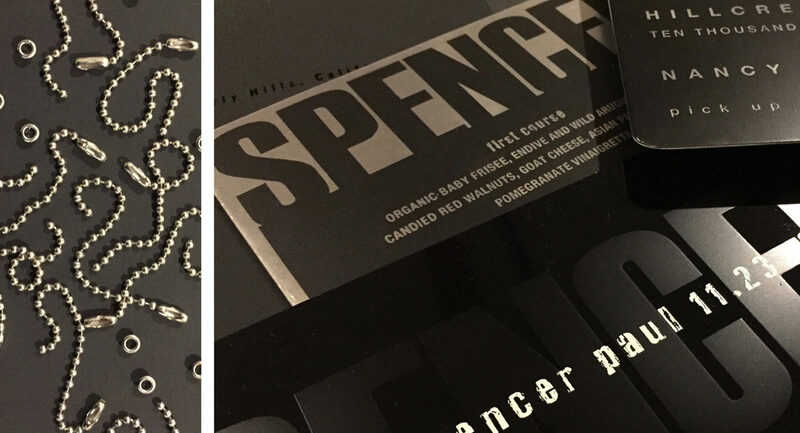 For the invitation, we used silkscreened sheet metal squares, complemented by hand-mounted response cards with grommeted corners and ball chains. The RSVPs could be unchained and returned in the custom silver-foiled envelopes. Day-of materials followed the industrial look, using the same metal, acrylic and printing techniques.